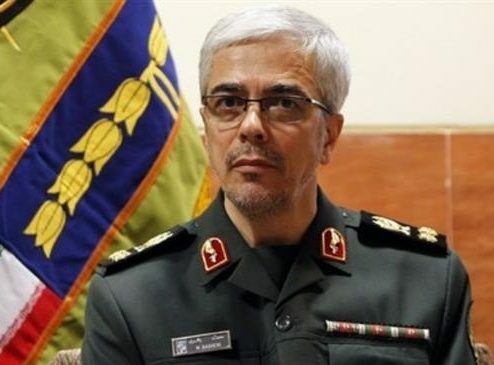 The order came following an earlier order by Leader of the Islamic Revolution who also serves as the commander in chief of Iran’s armed forces to Major General Mohammad Hossein Baqeri to offer help to flood-hit people of Iran. The general ordered all armed forces including the Army, the Islamic Revolution Guards Corps and the Law Enforcement Force as well as the Defence Ministry to rush to offer services to the affected areas by mobilizing human resources and technical means and dispatching rescue helicopters to them, a report by Fars news agency said. He also underlined that the armed forces should remain in the area till stability is completely restored to them. Iran is struggling with floods in a number of provinces. New warnings have been issued in some cities as more floods are anticipated. Some 400 towns and cities have been affected by the floods since last week. According to official figures, over 25 thousand houses have been ruined and 45 people have lost their lives since then. Aid and relief operations are in full swing in the affected areas.